How would you abbreviate 'Be Seeing You' in email jargon? When sending an e-mail, why is it a good idea to try and use the cc: field sparingly? a. The cc: can be confusing since the recipients might not know who is supposed to act on the message. b. Unless the recipient in the cc: field knows why they are receiving a copy of the message, he or she may not act on the message, but assume it is really only for the main recipient. c. It can sometimes devalue the main message depending on the context, as it could be seen to depersonalize the main message. Answer: b. Unless the recipient in the cc: field knows why they are receiving a copy of the message, he or she may not act on the message, but assume it is really only for the main recipient. What does 'scrolling the chat screen' in an internet chat room mean, and is it good or bad netiquette? a. Looking further down the screen (good netiquette). b. Scrolling down to follow the conversation as it develops (bad netiquette). c. Posting multiple, often single letter postings so the chat screen scrolls very fast for all users (bad netiquette). d. Flicking between multiple chat screen on multiple sites (neither good nor bad netiquette). Answer: b. Scrolling down to follow the conversation as it develops (bad netiquette). What is the purpose of icon-emotions or so-called 'emoticons' in email communication? a. They contain important information such as credit card number. b. They indicate that the email is urgent. c. They are meant for fun and entertainment value. d. They act as a signature which is added at the end of each sent mail. Answer: b. They indicate that the email is urgent. What does 'HTH' mean in an email or on a message board? Which of the following is the best description of an 'internet troll'? a. Someone who goes trolling on the internet, moving from place to place without settling anywhere in a chat room or on a board. b. A funny emoticon made to look like a troll. c. Another name for a spammer. d. Someone who participates in a message board or chat with the intention to disrupt it in some way. Answer: d. Someone who participates in a message board or chat with the intention to disrupt it in some way. Which of the following is the best advice when writing a business e-mail? a. To use varied italics, colors and special fonts because people like to see them. b. To keep the information relatively short, precise and always polite, with simple questions relating to what you expect to happen. c. To make detailed demands in long paragraphs, with the implication of wrongdoing on the part of the receiver. d. To panic, but then recover, and decide to send the message by regular mail, as this is definitely more secure. Answer: b. To keep the information relatively short, precise and always polite, with simple questions relating to what you expect to happen. Which of the following is a good statement about time delays between e-mail exchanges? a. Try to reply within a 24-48 hour window, but allow at least the same amount of time before sending a follow-on e-mail, if not longer. b. Always reply within 24 hours, and expect the same from someone else. c. Wait 36 hours before replying to any e-mail, but send a follow-on e-mail within 24 hours if you don't hear anything. d. Always allow a month for a reply, and return your own received e-mails within three weeks. Answer: b. Always reply within 24 hours, and expect the same from someone else. When writing an email, it is generally a good idea for your paragraphs to be ---------? Which of the following are good tips for creating an impressive webpage? b. Imitate other appealing sites in terms of their visual and textual content, but do not plagiarize. c. Test all the links to make sure they work and connect to their intended new page. d. Edit, edit, edit to ensure there are no mistakes in the content, as factual, grammar, typographical and spelling errors look unprofessional. What does the phrase 'lurk before you leap' commonly mean on internet sites? a. That you should set up a virtual online presence and scare people when they log-in. b. That you should familiarize yourself with a website's contents — its purpose, its FAQ, its community — before making a contribution. d. That you should contribute quickly before anyone discovers that you are an unwelcome presence, or only tenously connected to the site and its online community. Answer: b. That you should familiarize yourself with a website's contents — its purpose, its FAQ, its community — before making a contribution. Which of the following are important differences between face-to-face meetings and online information? a. You are virtually invisible online, so you can get away with a lot more. b. Your face cannot be seen, so it is harder to convey your thoughts and easier to be misunderstood online. c. Written communication should always be more polished and formal than real life spoken communication. d. While cursing is okay in real life, it is strictly prohibited online. Answer: c. Written communication should always be more polished and formal than real life spoken communication. If you are chatting with someone via the instant messenger and text 'BRB', what have you said? Which of the following is the best technique for sending a large e-mail attachment? b. Email the other party directly first and make sure their connection can handle a large download. c. Try and break it up into several smaller downloads, or 'zip' the file if possible. d. Send part of it, and wait to see if they request the remaining part. Answer: c. Try and break it up into several smaller downloads, or 'zip' the file if possible. What does 'spamming' mean, and is it good or bad netiquette? a. Sending online presents or 'spam' to your co-workers and friends (good netiquette). b. Sending unsolicited e-mails or communications to people online (bad netiquette). c. Both a and b, depending on the context. d. Same as 'flaming' (good netiquette). e. Same as 'e-mail jousting' (bad netiquette). Answer: b. Sending unsolicited e-mails or communications to people online (bad netiquette). What is a business 'welcome page' and how can it be useful? a. It's not: welcome pages are always distracting and take too long to load. b. It can give an impression of professionalism, as well as introduce the company brand, logo and overall interests. c. It's the same as the home page. d. It's the same as the goodbye page. Answer: c. It's the same as the home page. Which of the following could be considered as not being 'virtual events,' so you may wish to respond using a more direct reply or regular mail? a. Weddings, funerals, engagements, birthdays. c. Casual meetings related to school or work. d. A local prize draw. e. A coffee morning at a nearby school. Answer: b. After hours get-togethers. What is a very useful last thing to do before sending out any e-mail? a. Read the e-mail through for spelling and grammatical errors, to simplify the message if possible, and to check the recipient's e-mail address. b. Nothing, the quicker you send it, the quicker they will receive it. c. Copy the e-mail at least twice into a word document, as a double precaution. d. Check the time, so you can remember when you sent it, in case they call. Answer: a. Read the e-mail through for spelling and grammatical errors, to simplify the message if possible, and to check the recipient's e-mail address. How often is it sensible to use 'reply all' when replying to an e-mail? a. As often as possible, the more people know the information the better. b. Always, as e-mails should have at least two recipients at all times. c. Only if the information is really relevant to everyone on the list, otherwise keep 'reply all' to a minimum. d. You should 'reply all' about twice as often as you simply 'reply'. Answer: c. Only if the information is really relevant to everyone on the list, otherwise keep 'reply all' to a minimum. On a social networking site, which of the following is important to consider — in a personal way - when uploading photographs? a. How many images you can upload as fast as possible. b. Consider the feelings and reputation of the person whose image you are uploading, especially if the image is compromising in some way. c. Whether it is clear that you are the one uploading the images or not. Answer: c. Whether it is clear that you are the one uploading the images or not. Which of the following is not a good practice for reacting to virus hoaxes and chain letters? a. Forwarding them to your friends, as often advised by the e-mail hoax itself. b. Discarding or deleting them immediately. c. Considering them, and allowing them to send to your entire contacts list, for other people to decide about their authenticity. d. Printing them out and sending hard copies to a local internet watchdog or awareness group. Answer: a. Forwarding them to your friends, as often advised by the e-mail hoax itself. Why should you not type in all caps when writing an email? a. Because it can be difficult to read. b. Because it takes up more room and makes the email longer. c. Because it is considered 'yelling'. d. Because it is tough on your keyboard. Answer: c. Because it is considered 'yelling'. What is the better solution than using bold or italic to emphasize meaning when e-mailing or posting online? c. Use carefully chosen words and phrases, so that the meaning is clear and not ambiguous and unlikely to cause misunderstandings. d. Draw a picture and insert it around the text. What do the abbreviations 'FWIW' and 'FYI' stand for? What does it mean when you type an e-mail in all capitals? Which of the following is the best response to sending a message that you didn't intend to send, or sent to the wrong recipient? a. 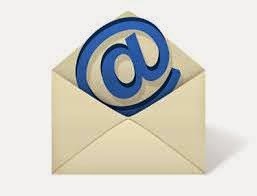 Make a request for the e-mail to be recalled or sent back to you. b. Race over to the recipient's computer, especially if he or she lives or works locally, and delete the message manually. c. Send a follow-up message explaining that the previous message was a mistake, with a brief apology and explaining that the message can be ignored. d. Jump up and down in frustration and tear your hair. Answer: c. Send a follow-up message explaining that the previous message was a mistake, with a brief apology and explaining that the message can be ignored. What should you do if you do not want to type your name at the end of every email you send? a. Only sign emails which you send to business associates. b. Do not sign at all as people know who the email is from, courtesy your return email address. c. Include the 'from' information in the subject line so you can save the time of 'signing' the email. d. Create a signature that will get automatically attached to every email you send. Answer: d. Create a signature that will get automatically attached to every email you send. What does it mean to 'respect somebody else's bandwidth'? a. To measure the width of the desktop PC in comparison to a laptop of the same brand. b. To open doors for them to fit through, a reference specifically to the real rather than the virtual world. c. To be conscious of how much storage space you are controlling in any given communication, since everyone only has limited space. d. To allow them two communications for every single communication of your own. Answer: c. To be conscious of how much storage space you are controlling in any given communication, since everyone only has limited space. Which of the following best reflects a so-called 'Golden Rule' of etiquette? b. Remember the human (remember that a real person is receiving the message). c. Sometimes act friendly in chat and emails. d. Only flame your friends by accident. Answer: b. Remember the human (remember that a real person is receiving the message). Which of the following is the best explanation of 'netiquette'? b. An abbreviation for 'internet etiquette' or even 'ethics on the net,' the correct way to interact in an online setting. c. Networking expertise, especially when off-line. d. Online chatrooms for sophisticated Mac and PC users. Answer: b. An abbreviation for 'internet etiquette' or even 'ethics on the net,' the correct way to interact in an online setting. What is the best way to treat 'spam' or unsolicited e-mails? a. Do not reply to them. c. Transfer them to your spam folder. d. Ignore them (if you notice them, as they are usually transfered to your spam folder automatically). What is the correct way to address someone online, if you are unsure of how he or she would like to be addressed? a. Use their first name, it is always the friendliest option. b. Use their last name, such as Mr. Jones or Ms. Jones. c. Use their full name, with their first name in parentheses afterwards. d. Use Dear X to demonstrate your uncertainty, and they will probably correct you. Answer: b. Use their last name, such as Mr. Jones or Ms. Jones. What are vCards and why are they sometimes distracting or difficult for the recipient? a. vCards are online invitation cards, but the recipient often does not want to attend the event. b. vCards are e-mail that copy in other members of your contacts list automatically, which is often not desirable. c. vCards are electronic business cards, but they often take the form of an e-mail attachment, therefore making every e-mail look like it has an attachment. d. vCards are online stationery cards used for a variety of events, and therefore business and recreational events can get confused. Answer: a. vCards are online invitation cards, but the recipient often does not want to attend the event. What is the most important aspect of writing content for a blog, either as a main posting or as a comment on someone else's blog? a. Always make your posts accurate and truthful (as well as entertaining) especially if they reflect on your reputation as someone with an online presence. b. Make it long and detailed, and occasionally bend the truth a little for the sake of impact, even if you are discovered. c. Make the blog colorful, or make your posting in bold, italic or in capitals, for emphasis. Answer: a. Always make your posts accurate and truthful (as well as entertaining) especially if they reflect on your reputation as someone with an online presence. A common online symbol, what is the correct 'emoticon' for a regular 'smiley face' from the list below?